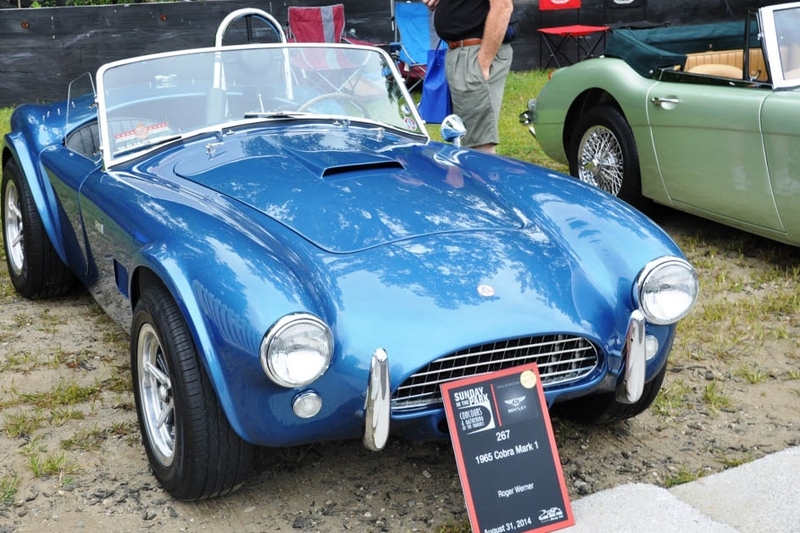 2014 Sunday in the Park — Automotive Restorations, Inc. The forecast was certainly less than perfect…but it was dry as the sun came up on Sunday August 31st 2014….and we were more than pleased to see sun through a humid haze. We worried just a bit: would they come?? Wow, did they ever! Cars were coming…and coming and coming while the ARI crew was on track setting up the show with style and grace. As our judges left the 8AM breakfast meeting the field was in place. By 11:00 class results were in…but there was more to do, much more! Sunday in the Park is an automotive tour de force. A Concours of 250 exceptional exhibits highlight the history of the automobile ….and then…as one wends round the circuit one finds Gathering of the Marques. Displayed on a come as you are basis at “Gathering” we’ve seen as many as 750 cars fill the field. 2014 was a bit lighter noting the weather, but there was still plenty to enjoy and lots for our judges to review. A great team of judges got a good look at it all and we were ready for our awards theatre by 2PM. Awards went beautifully with Master of Ceremonies Murray Smith assisted by Stirling and Susie Moss keeping yours truly on track such that 3PM found the field awarded with most cars in trailers or otherwise safely covered as drops started to fall at about 4. SO, WAS IT A SUCCESS??? Everyone had nice things to say and… at about 10AM …When we heard that all roads in were jammed, we knew we had indeed attracted a crowd. Oooops! We never imagined this much growth and interest AND we’ll have traffic flow fixed come 2015. 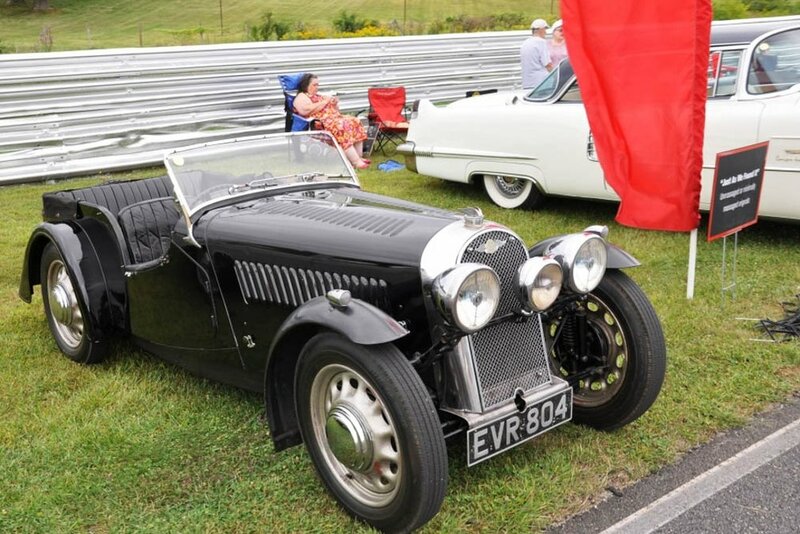 Among a superb field of entrants we were pleased to find quite a few cars we at Automotive Restorations and Vintage Racing Services Inc. have had our hands on. Below is Peter’s superb Platinum award winning Ferrari 212 Vignale Coupe which found an award at Sunday in the Park as well – A terrific car we and our spectators appreciated immensely. 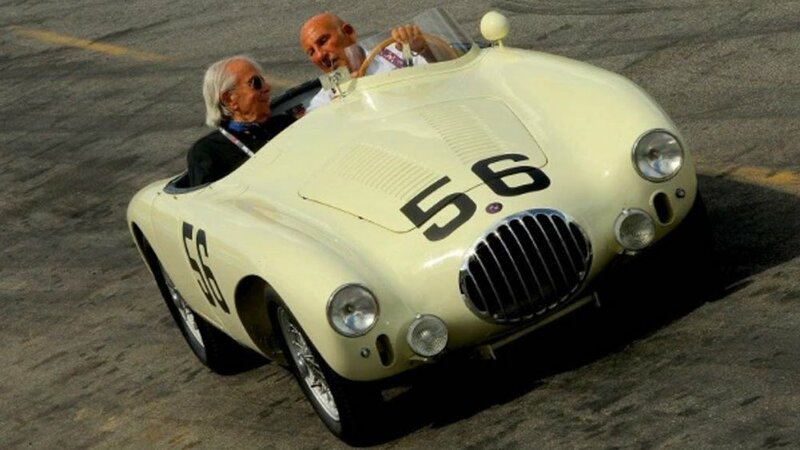 The Other Italians class was a great feature honoring the cars of Carlo Abarth, OCSA, Cisitalia & Stanguellini. It was indeed a treat to see Mahlon’s Abarth 1000 GT pictured front and center here having just come out of our paint shop from a tidy up. Mahlon won a class award and had a great drive in this superb car on track and racing hard all weekend as well! Where else do you see all sides of great cars? Show & GO! 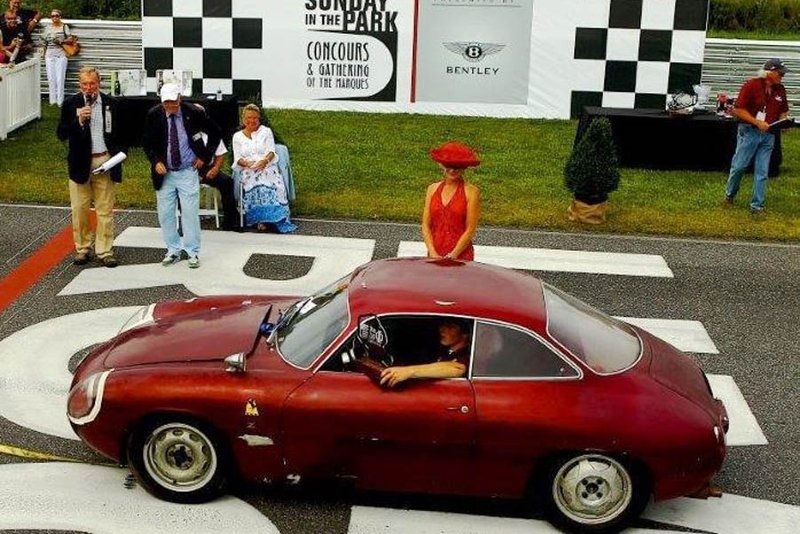 The Lime Rock Historic Festival is the one and only. 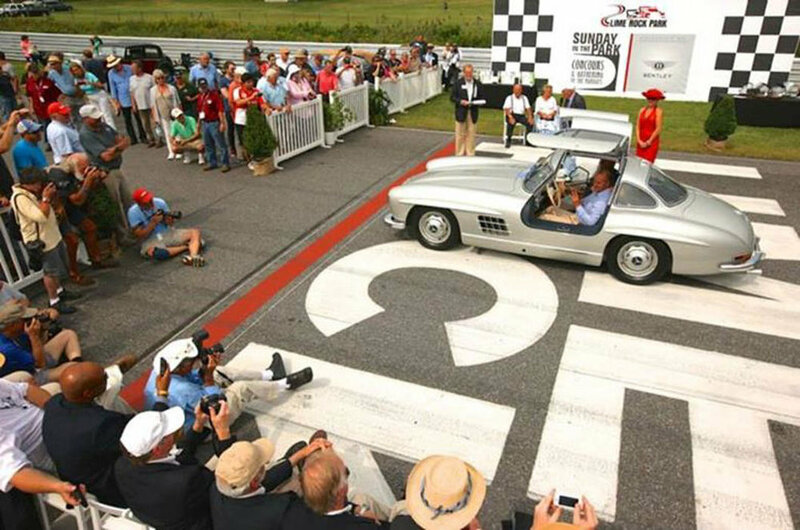 Gullwings we’ve known and a Ferrari found: Above is Briggs Cunningham’s, Phil Hill piloted 300SL prototype Dennis brought straight from Pebble Beach to Lime Rock. It sits next to his Ferrari 250 Boano coupe recently enhanced at ARI. Right, Henry’s 300SL: out of our shops and in a great group of Gullwings at Gathering of the Marques. Found in the field and at time in our shops we discovered: Upper left, Drake Darrin's Packard Convertible. Upper right, Roger’s right and rapid 1965 Shelby Cobra. 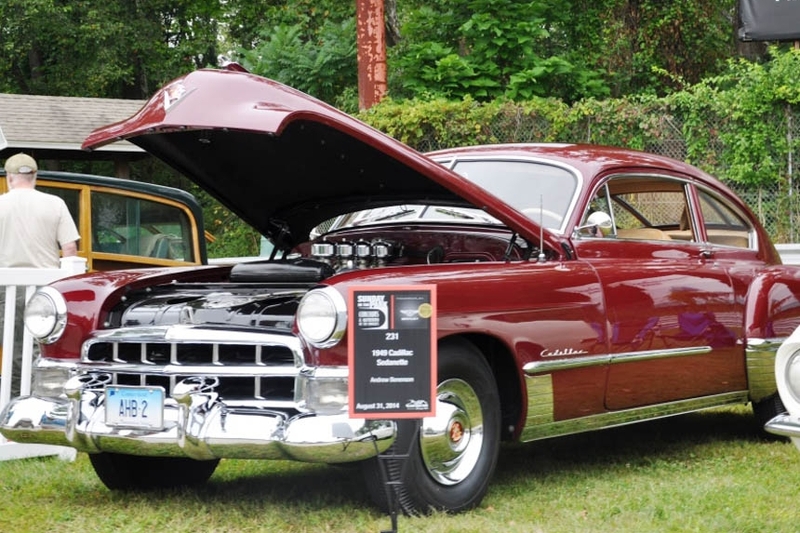 Andy’s period correct 1949 Cadillac Sedanette “Hot Rod”. Among some great cars center above and a bit off to the right, Walter’s Siata 208 BS Coupe. Lower right Don’s fresh from the paint shop Mercedes Benz 190SL. Just as we Found It was Sunday’s class for “unrestored examples of cars of distinction.” Therein and among a superb group of entrants were some cars we’d had our hands on. Left above, Eric’s superb and rare Siata 208 Coupe by Pininfarina. Above right Larry’s exceptionally preserved Alfa Romeo SZ fresh from his garage and having run the Targa Florio 3 times. Murray's Morgan with some exceptional Le Mans history was a treat. As the awards begin and cars we’ve know come into play, we find Brad’s beautiful 1960 Cadillac Fleetwood convertible winning Fun & Fancy, Just the Thing for a Sunday drive and Brad did indeed have a Sunday drive. Left: Dennis and Chris drive the 300 SL prototype up to take the award for Power to Spare, Grace to Boot, GT cars 1945-59. Middle: Matt and Arnolt Bristol Bolide take the Poised & Potent award for cars exhibiting road racing’s streetwise reflections. Right: Ed & Kurt take the Bentley Beauty and Brute for the cars of our event sponsor Bentley, in a special one off Bentley body by Wendler Shooting Brake. Just As We Found It, untouched or minimally massaged originals: First goes to Larry’s 3 time Targa Florio raced 1959 Alfa Romeo SZ while Eric’s finds Leslie & Leigh Keno presenting the Historic Vehicle Association, This Car Matters award. Robert Machinist and Diane Nabatoff were presented the Up on Two Wheels award recognizing a significant collection of Motorcycles. They sure exhibited some great Italian road racing machinery…Thanks from us all! It is just before 3PM, skies are graying and…we find Andy’s 1926 Kissel Speedster. What a finish as the People’s Choice Award Winner. Good Choice - especially for the golfers noting those golf bags on the running boards!!! Peter’s Superb 1933 Alfa 8C 2300 was next as our Best of Show winner. Great day thanks to LRP, Exhibitors & Spectators all.